The Swift has a smart, lightweight frame that's designed for quick pack-down and storage in small cars or luggage spaces. 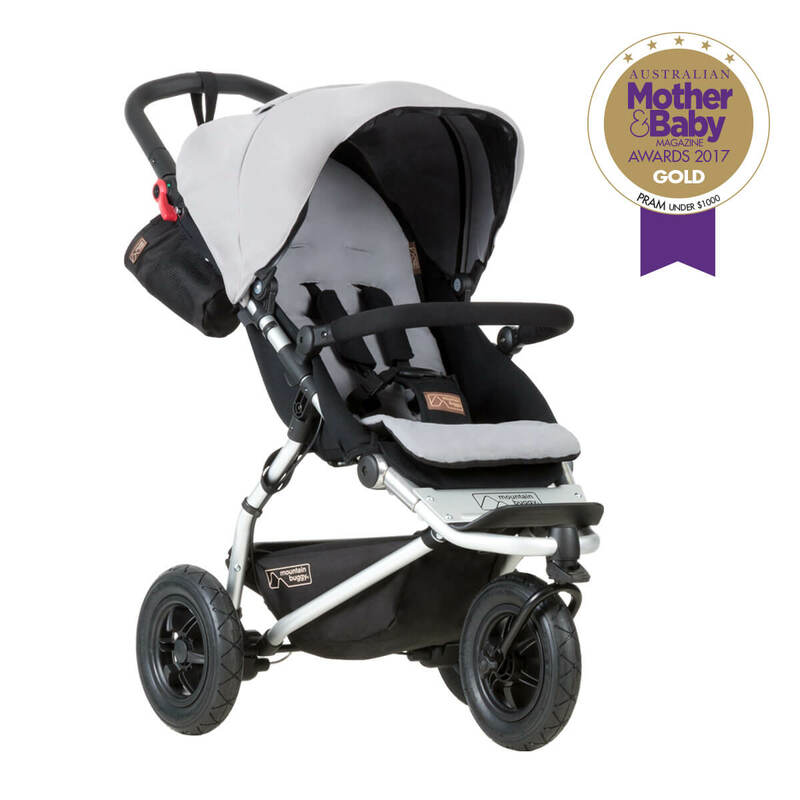 The swivelling front wheel lets you navigate busy streets, narrow aisles and crowded cafés with ease, and what you save in size, you won't compromise in comfort and versatility. 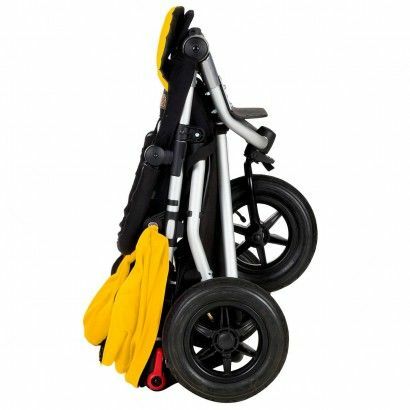 Designed to be light and built to be compact with all-terrain agility, the Swift's new automatic frame lock clicks instantly into place ensuring that your buggy is safe to store and the new "easy on/easy off" sling makes life much easier. 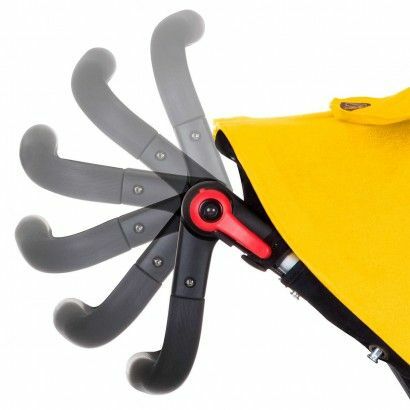 The new style grab bar has a smarter clamp system to allow easier access to the buggy and the tail free harness means that your child won't be hurt by excess tail straps. Clever engineering and perfect weight distribution allows you to easily 'pop' up the front wheels to get up higher kerbs around the city. 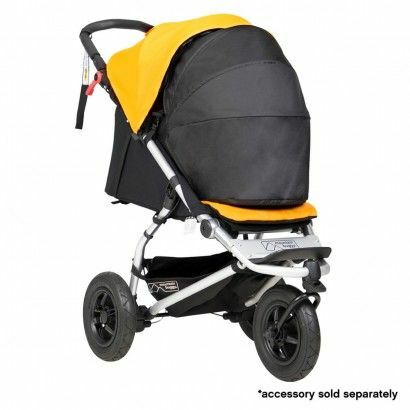 Zip Fabric Sling is easy on/easy off the buggy.